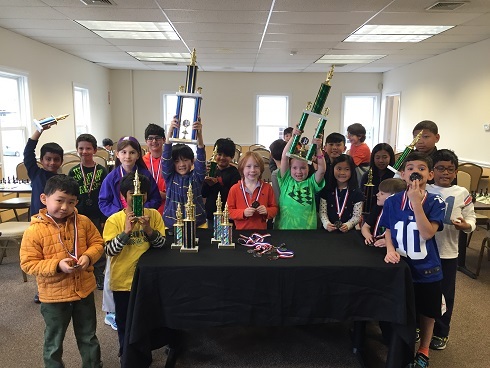 This month's K-8 Scholastic Championships was jammed-packed with competitive players. Lia Lavin stood out from her peers in the K-2 section as she played a remarkable tournament, earning a perfect score of 4/4 total points! In 2nd-5th place, Justin Guo, Vikram Sarkar, Sarvesh Neelavalli, and Sauraj Singh each earned 3/4 total points. Despite facing players of higher rating, Eddie Li took home first place for the K-5 Section earning a perfect score of 4/4 total points! In 2nd place, Mia Kai earned 3/4 total points. 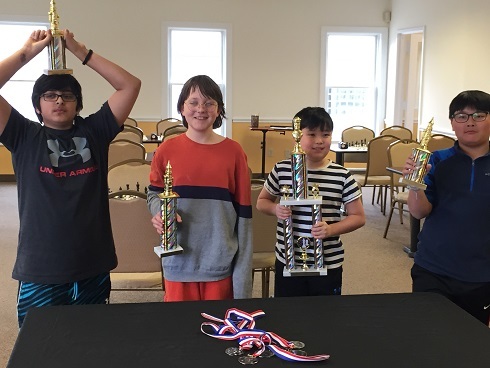 3rd-5th place was awarded to Brian Antczak, Gabriel Herne, and Aniket Shetty each with 2/4 total points. In the K-8 Section, first and second place was awarded to Ryan Peterson and Aurelius Mlynar each scoring 3.5/4 total points. In 3rd place, Alexander Zhelonkin earned 3/4 total points. 4th place went to Joseph Ho with 2/4 total points. And Finally, 5th place was awarded to Shivang Kapoor.Thank you to everyone that made this such a memorable event. All of the participants should be commended for all of their excellent displays of sportsmanship and composure throughout the tournament.